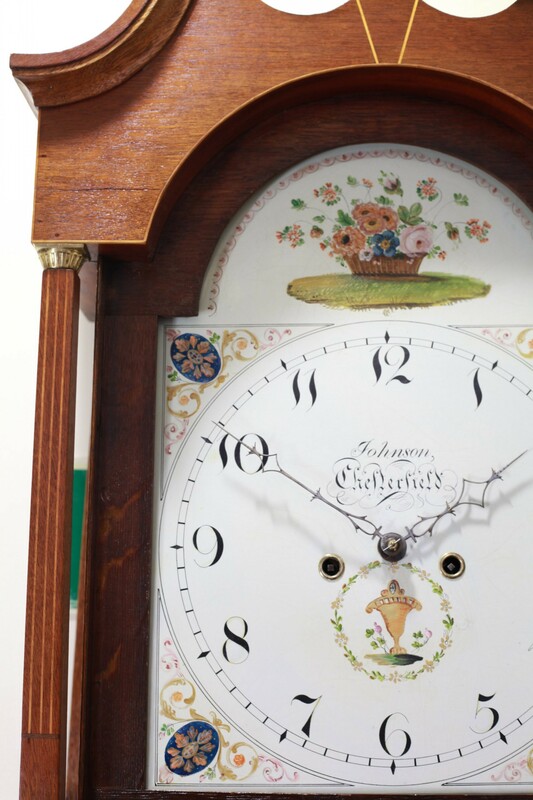 A lovely provincial eight day oak longcase clock with cross banding and inlaid leaves and shells by Timothy Johnson of Chesterfield. 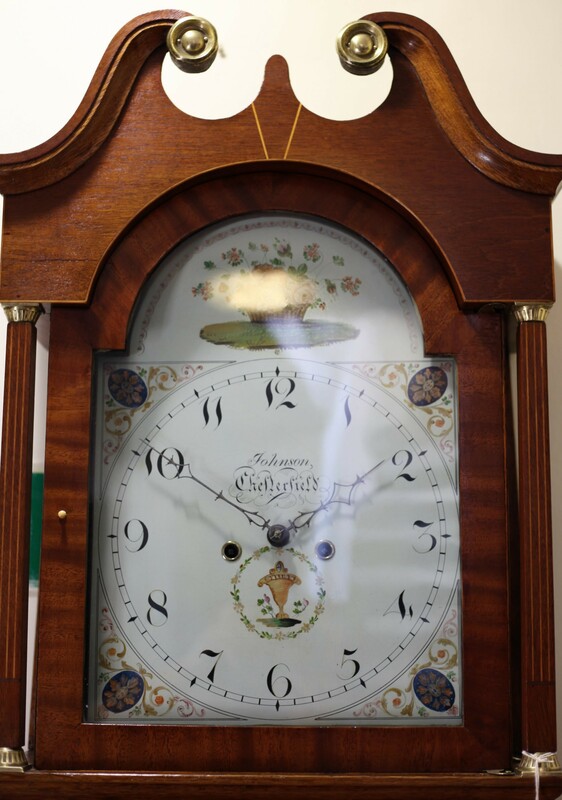 Its not often we have a provincial clock in such a lovely condition. 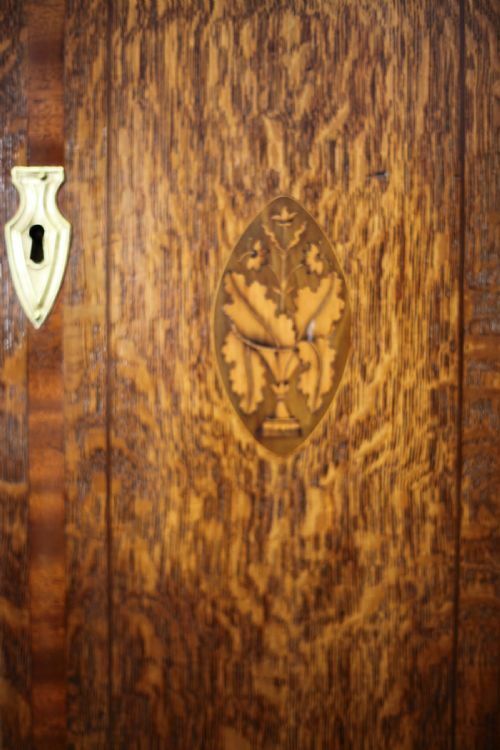 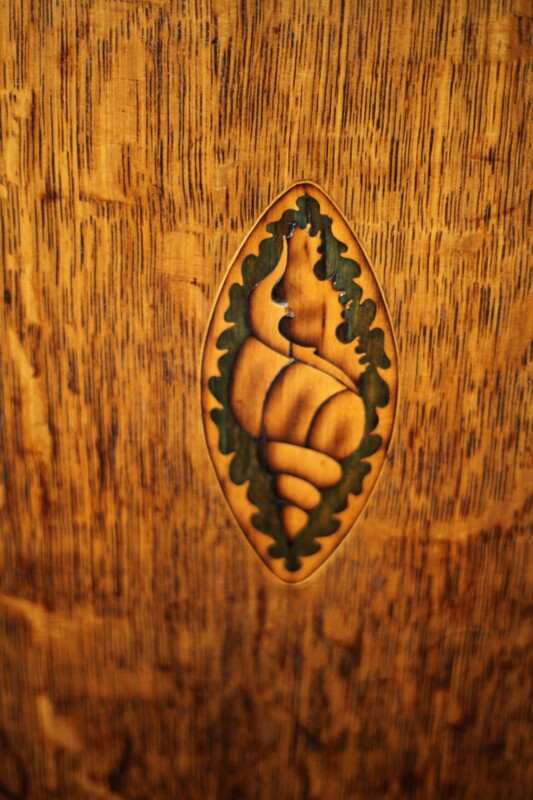 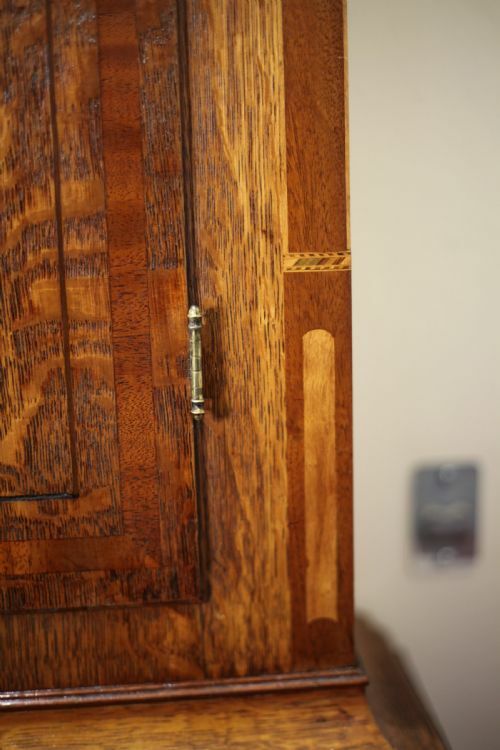 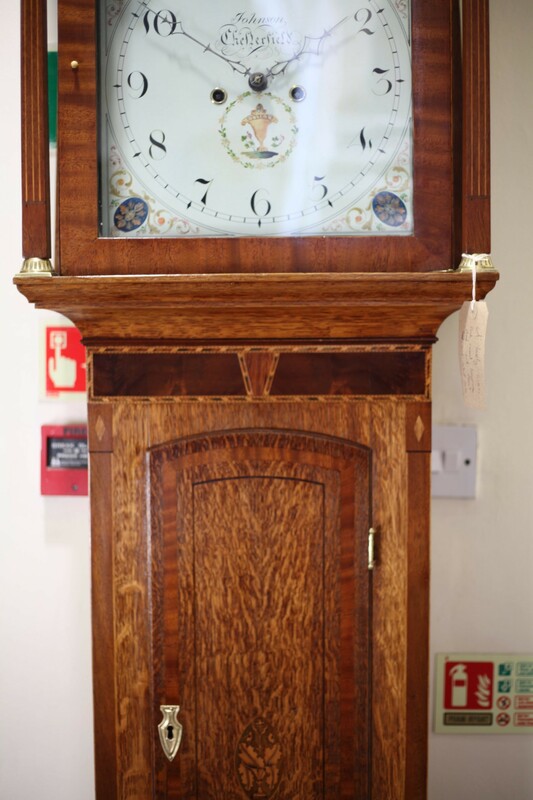 The light oak case with inlaid features of cross banding, leaves and shells stands well against the "phase 2" dial with Arabic numerals and delicately painted floral arrangement to the arch. 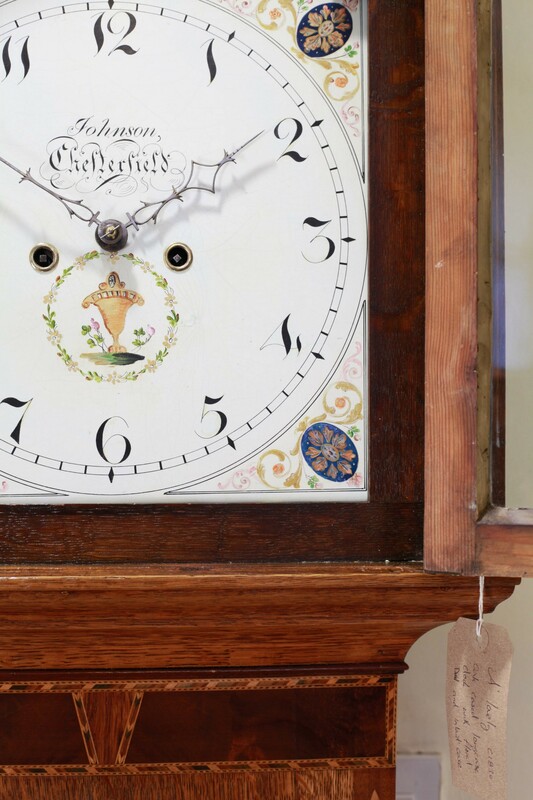 The gilt paint corner spandrels match the colour of the case beautifully and has to be seen to fully appreciate the clock. 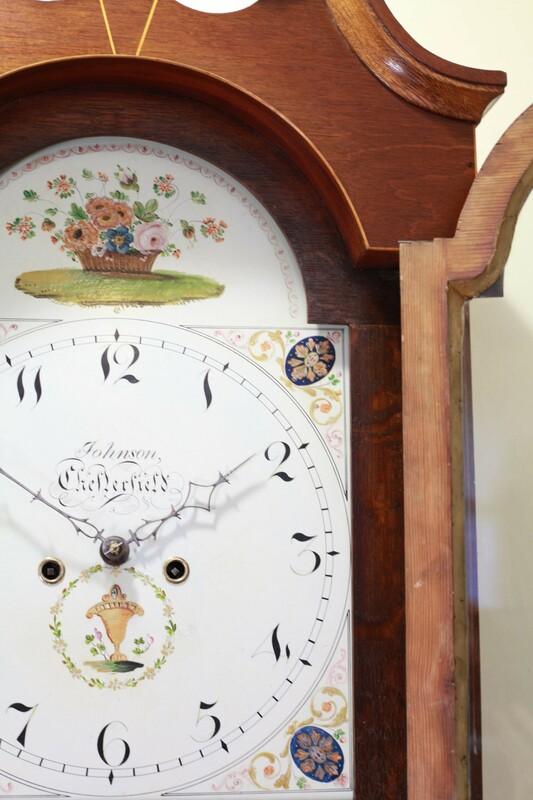 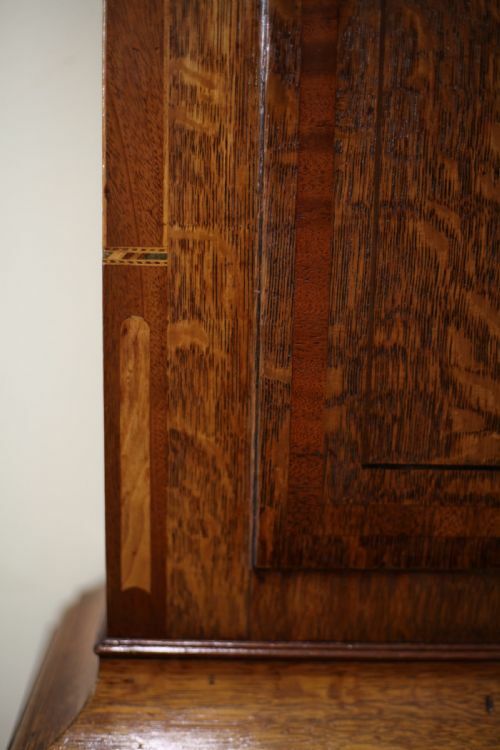 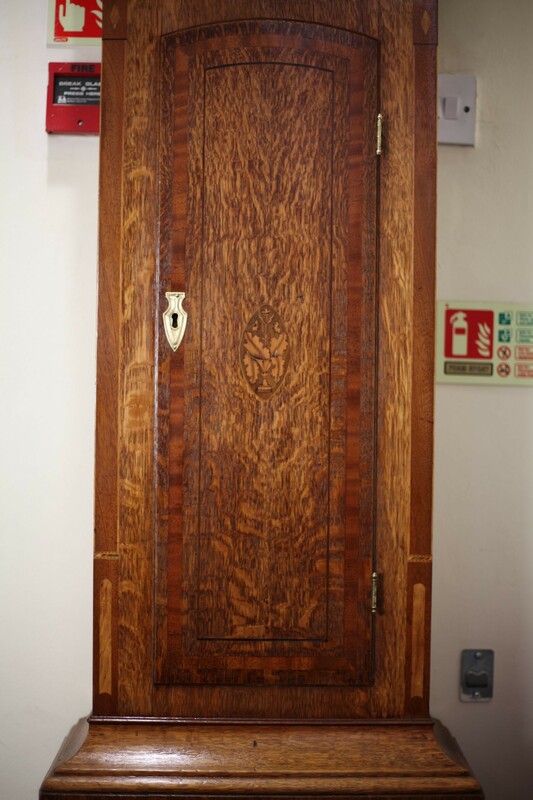 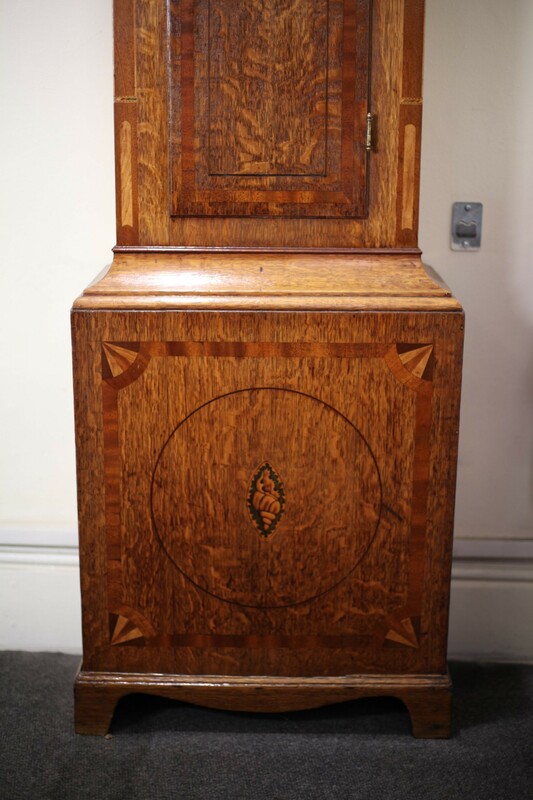 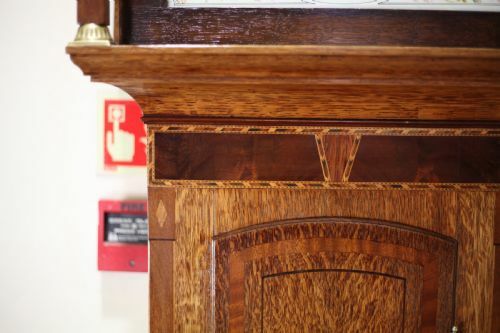 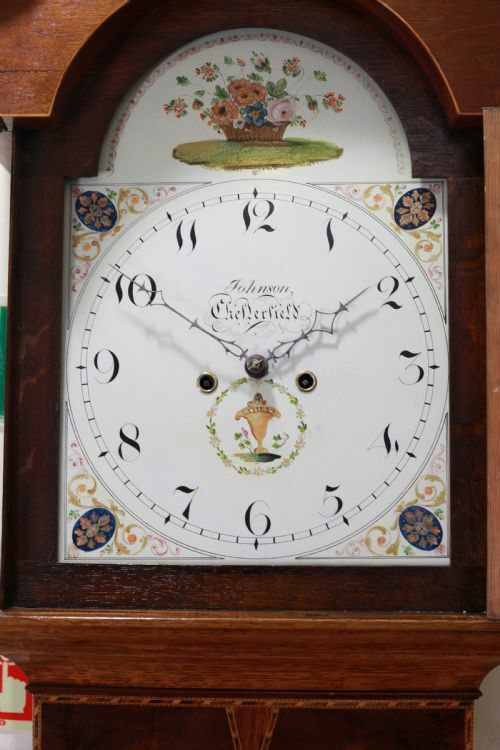 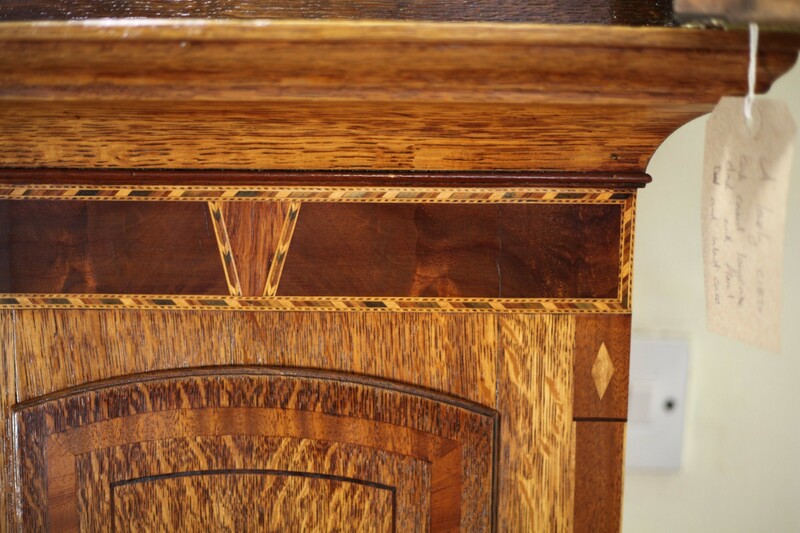 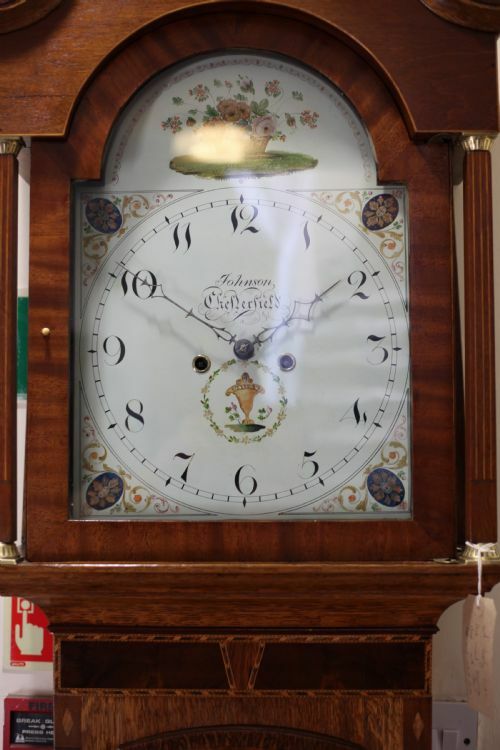 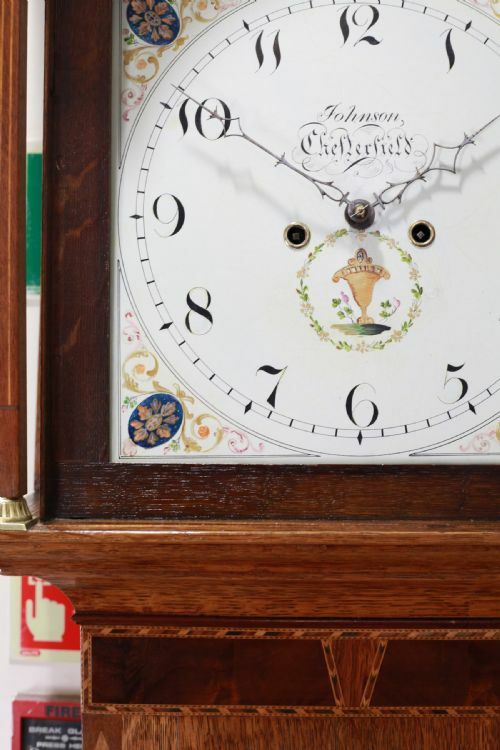 The Johnson of Chesterfield inlaid Longcase Clock with painted dial has been added to your saved items.